Fibreville was Berlin’s first truly planned subdivision, the vision of one of Berlin’s early industrialist, Henry H. Furbish. Furbish was the founder (in 1877) of the Forest Fibre Company, the first pulp mill in Berlin. He used a soda-process formula to convert wood — poplar from local forests and waste spruce wood from the Berlin Mill saw-mills — to make pulp for paper. This innovative chemical process was not only important to Berlin’s history (as the beginning of its paper industry) it was also a key development in the history of paper production in the U.S. With the mill flourishing (by 1880, 300 men were employed at the plant) Furbish turned his attention to building the Fibreville community. 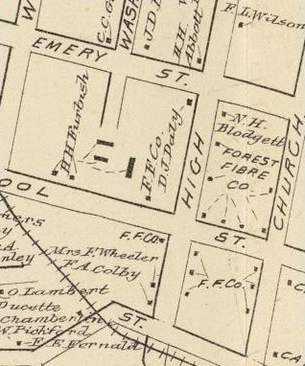 He purchased a large piece of land in Berlin Falls and laid out streets and house lots. 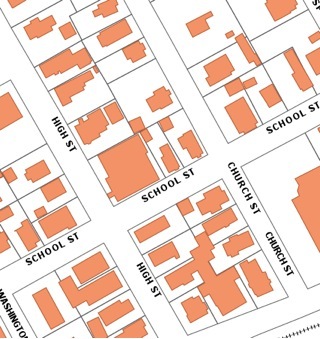 Streets were named for family members: the “Willard” in Willard Street was his son’s name; his wife’s maiden name was the source for Emery Street. 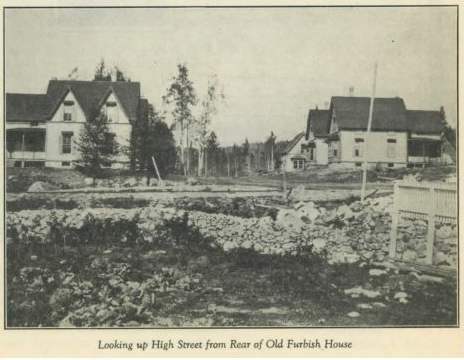 Furbish built at least 18 model houses. [Furbish] has laid out a large territory into building lots, graded streets, introduced electric lights, made other valuable improvements, and created a beautiful village of eighteen model houses, to which a number additions, are being rapidly made. At the present time he is contemplating a systematic sewerage of the place, an undertaking of no small moment, when we consider that the village is located on immense ledges of granite everywhere outcropping on the surface of the ground. To further his plans, Furbish hired Francis Fassett (1823-1908) and partner John Calvin Stevens, Portland, ME architects, to design a number of house plans for the community. In 1880, the plans for the houses, as well as the architect’s design for nearby St. Anne’s Church, were published in American Architect and Building News, a national architecture magazine. 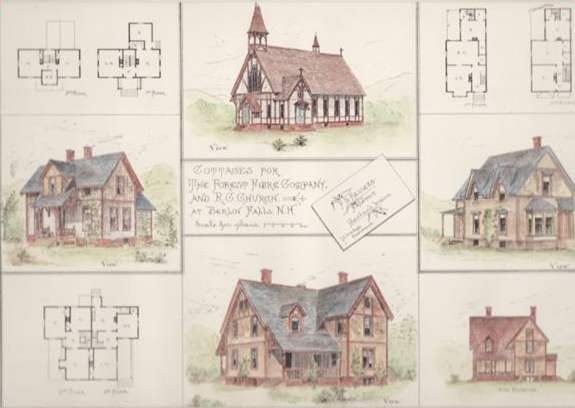 These were Steven’s first published designs; he was to go on to become a prominent Maine architect. The two also designed the 1882 Congregational Church at 921 Main Street in Berlin. Although a number of the Fibreville houses have been demolished or severely altered, many of the houses exist today and can be identified. Still standing and recognizable are: 45, 46, 54 and 59 High Streets, 47 and 89 Church Streets, and 263 and 257 School Streets.